If you had a time turner, like the ones in the Harry Potter universe, what would you do with it? We’d go back in time and make sure that we got enrolled in Hogwarts School of Wizardry and Witchcraft at an early age. We never learned magic when we were young, so the best we can do is waggle a wand around in the air while chanting silly sounding words (unfortunately, nothing happens when we do this). But that would be different had we enrolled at Hogwarts! Why, today we might even be the head of House Gryffindor! Unfortunately, we don’t have access to a time turner, but through the power of costume, there is a way for you to become the head of Hours Gryffindor. This deluxe Professor McGonagall costume helps you transform into the Harry Potter character without the use of any magic. That means you don’t need to learn a single spell or turn back time to become a witch. You might not be able to summon Patronus while wearing it, but you’ll look authentic enough to fool any wizard! 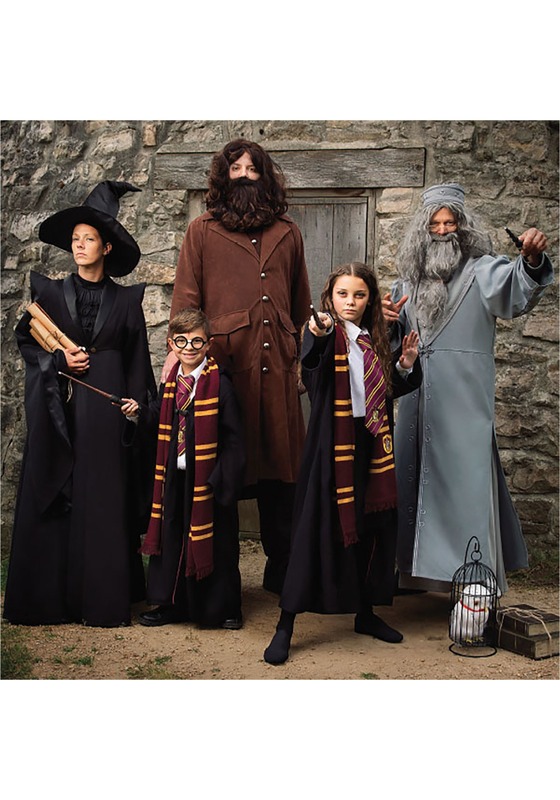 The officially licensed costume is based on the outfit worn by Dame Maggie Smith in the Harry Potter films. The high-quality outfit comes with a black polyester dress. The matching cloak buttons in the front and has padded shoulders and sleeves. Finally, the hat has a pointed top with a wire frame inside to maintain shape. 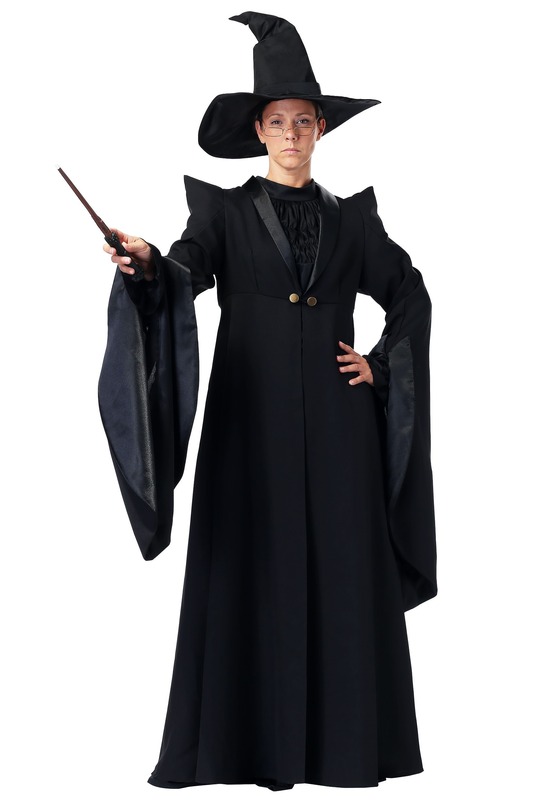 Just roll into Hogwarts wearing this outfit and all the students will immediately assume that you’re a master witch!